MGM Resorts announced this week that it is considering reducing a certain number of jobs at its Las Vegas Strip properties that could be performed by automated technologies. For example, the casino operator might replace back of house bartenders with beverage stations that automatically pour and mix drinks. 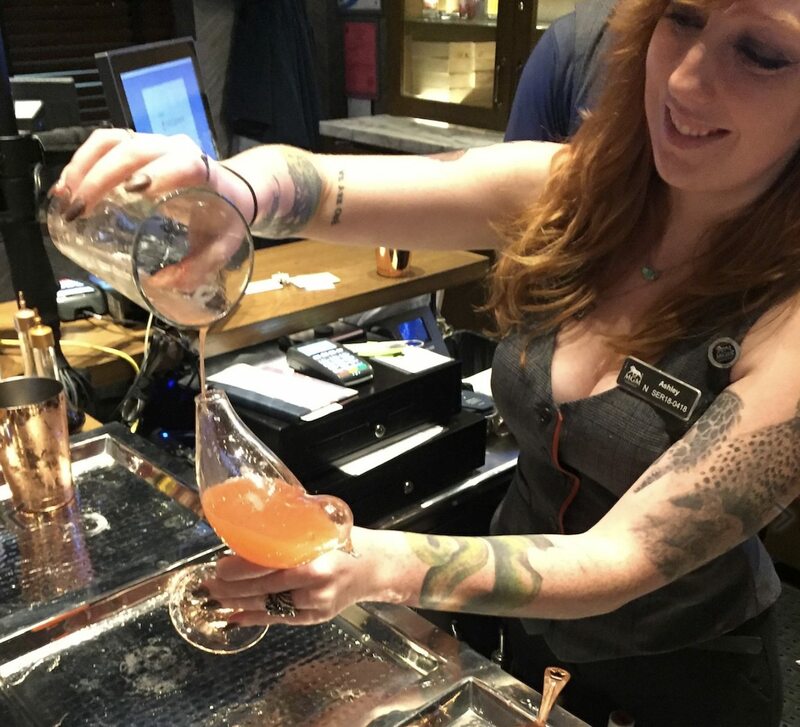 Back of house, or non-customer facing, refers to bartenders who prepare drinks for servers and do not directly interact with guests. MGM is also considering equipping cocktail waitstaff with technology that allows patrons to pay at the table instead of a cashier. Just days after the new year, MGM Resorts laid out its “2020 Plan” and mission to reduce its workforce by 2,100 positions over the next 12 months. CEO Jim Murren told investors the goal is to increase annual adjusted earnings before interest, taxes, depreciation, and amortization (EBITDA) by $200 million over the next two years, and an additional $100 million by the end of 2021. MGM spokesperson Brian Ahern told Casino.org that the technology implementations were being considered prior to the 2020 plan unveil. 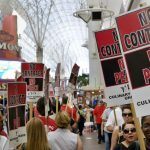 Under the new labor terms MGM reached with the powerful Culinary Union last summer, the company pledged to shun such innovations that might lead to a reduction in jobs. The Culinary Workers Union Local 226 and Bartenders Union Local 165 – both affiliates of the national Unite Here organization, represent 60,000 workers in Las Vegas and Reno. MGM’s latest five-year arrangement requires the company to notify the union of any technological implementations that cuts positions. Ahern said MGM and the union are in communication on the issue. MGM Resorts lost much value last year, as did numerous stocks in the gaming industry. Despite gross gaming revenue increasing in both Las Vegas and Macau, the two most critical markets for the casino giant, company shares plunged from $34 to $25, a 26 percent decline. The 2020 Plan was an effort to regain investor confidence. It largely hasn’t. We found very few investors giving credit to the MGM 2020 initiative, and many questions were asked about timing and examples of cost saves,” Union Gaming analyst John DeCree said in a recent note. Despite the sentiment, MGM stock has recovered some of its 2018 losses in the new year. Shares have gone from $25.19 on January 2, to $26.89 at the close of trading yesterday, a six percent gain. MGM posted strong Q4 revenues to conclude 2018. Revenue totaled $3.052 billion, topping the forecasted consensus among analysts of $2.98 billion. Full-year revenue totaled $11.76 billion. Its two Macau resorts were responsible for $3.2 billion. MGM’s spending spree is largely concluded. 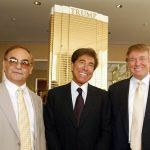 In recent years, the company has invested $1.4 billion on MGM National Harbor, $900 million to buy out Boyd Gaming’s stake in the Borgata, $960 million on MGM Springfield, $3.4 billion on MGM Cotai, $550 million on the Monte Carlo transformation, and $850 million to acquire Empire City. Much of the costs were later covered by MGM Growth Properties — MGM’s real estate investment trust.